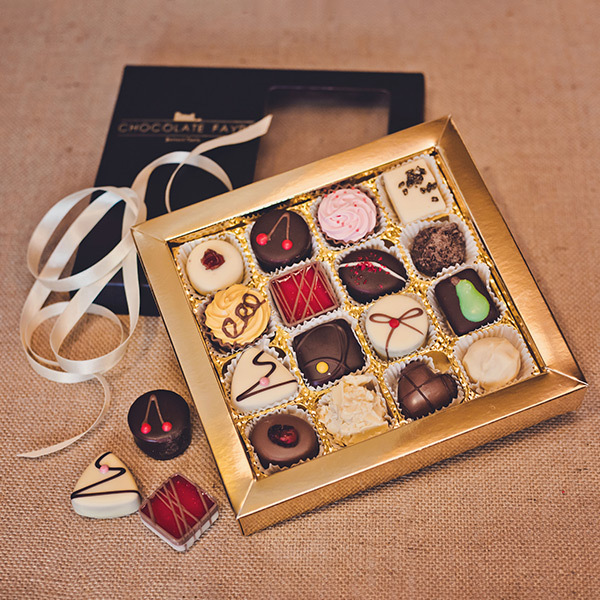 All of the chocolates and truffles in this collection are based around fruit flavours. Expect anything from a raspberry framboise ganache to a dark orange. 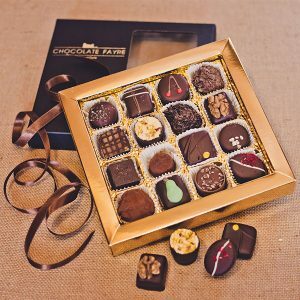 The selection may include milk, dark and white chocolate, nuts, pralines, alcohol, marzipans and others. But the main theme will always be fruit.